Love really is blind in this hilarious and pitch-perfect Valentine's Day picture book, set to the familiar rhythms of "Clementine," one of our most beloved American folk songs.The heroine of "Clementine" is a dreamy girl named Valentine who keeps missing what's right in front of her nose: the love letters being sent her way by a smitten admirer. Whether carried by pigeon, pony, or freight train, his messages continue to go unnoticed or undelivered. But just when the lovelorn writer loses all hope, something unexpected happens that proves his crush isn't so one-sided after all. 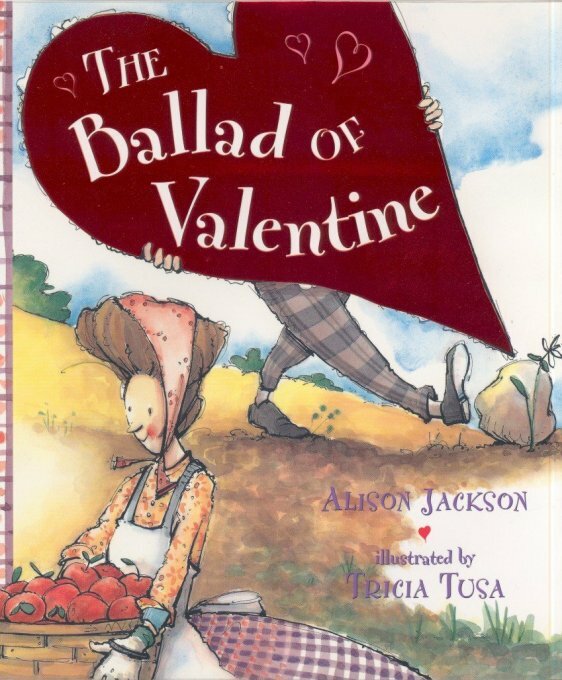 Brought to life by the larky illustrations of Tricia Tusa, this silly and sweet tale is perfect for little valentines as well as grown-up sweethearts. Without ever being treacly or melodramatic, this fun book is ideal for Valentine's Day programs. A parody of "Clementine" is long overdue, and Jackson and Tusa make perfect harmony here--the cadence and rhythm of text and the watercolor artwork are right on pitch in their genuine sweetheart of a book..